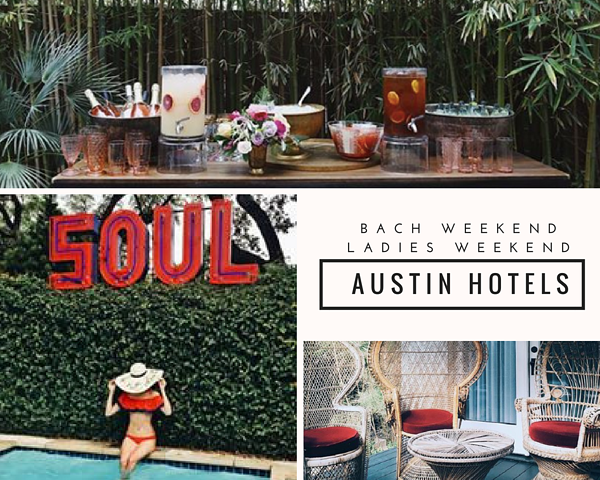 It’s that time of year to celebrate your favorite bride and what better way then to plan a bachelorette weekend in Austin! We recently met up with a group of ten ladies celebrating their friend, sister and soon to be Miss to Mrs - every detail of this Austin bachelorette weekend was a secret for the bride to be. We love when bride tribes do this because then everything is such a surprise to the bride to be! We love watching the excitement that comes when we get there to setup the flower crown bar. The brides get so excited and we know that we are spreading the love of flowers with the group! 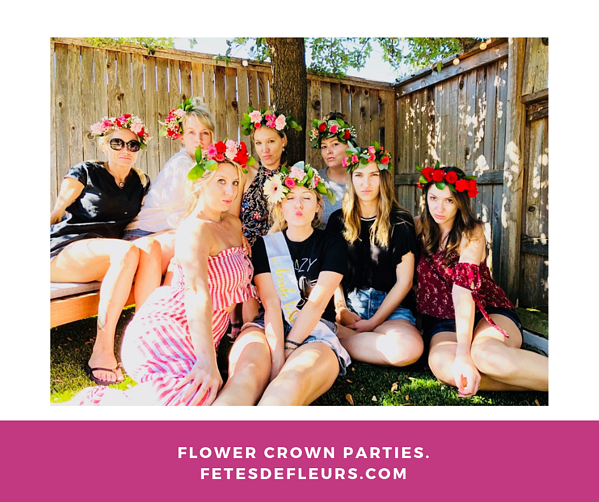 With the warmer months starting to pop up here down south we wanted to tell you about our flower crown parties as an option for when you are planning a bachelorette party in Austin, TX. 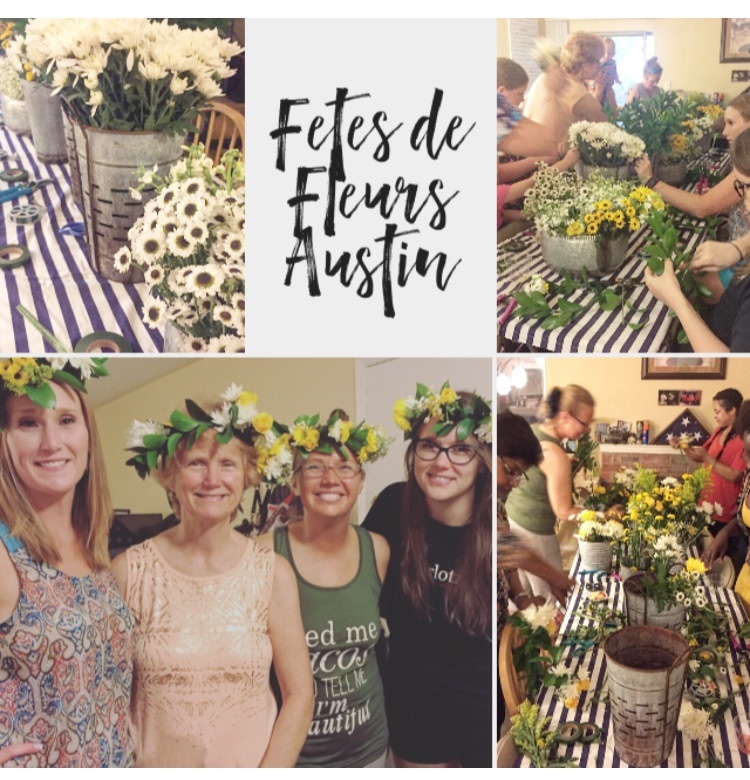 1st off everything is better and bigger in Texas so when we started planning out the cities we wanted to bud into throughout the US we knew Austin would be on our growth map for Fetes de Fleurs flower parties. We are pumped that Myranda joined us as our flower party host in Austin. Here's to MANY Austin bachelorette parties this year ahead! A little flower dream of mine is to one day in the cities we flower party in have a monthly activity with the girls in that location and do a fun floral installation somewhere in the city we flower party in. My dream would be to flower crown this Texas mural up with a fetes flower crown at the top. I think we can make that happen! 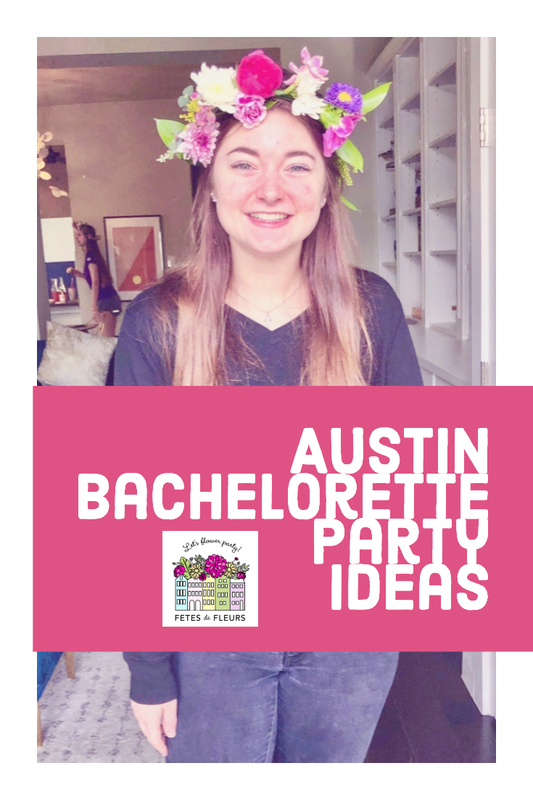 Our flower party host for Fetes de Fleurs Austin is Myranda and you can request a Bachelorette party in Austin here. Want to know how to host the perfect Glamping Bachelorette Party Weekend? Check out our recent Flower Crown party nestled in a Tipi Village about an hour outside of Austin. We met our bride tribe at the Reservation on the Guadalupe in New Braunfels, Texas. If you are looking for a more rustic, glamping style bachelorette weekend we highly recommend checking out this space! Look at these cool tipis that you can spend your Austin Bachelorette Party in! Fetes de Fleurs is officially live in the Austin, Texas area. 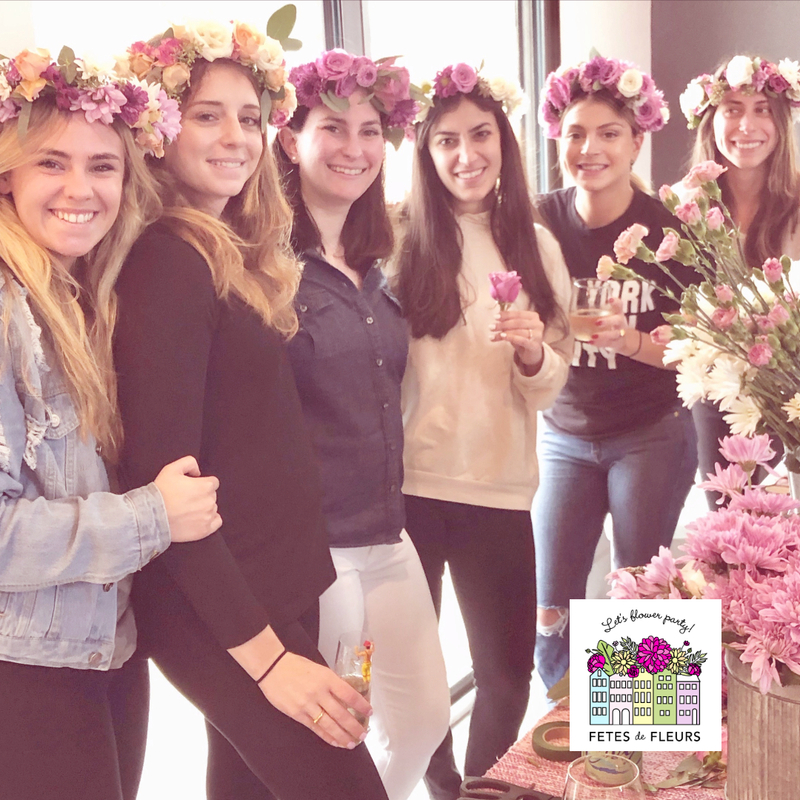 We are so excited to continue building out our flower party host program in cities around the US where bachelorette parties happen on the reg. Austin, Texas is such a key spot for our growth and we are so excited to join you in Austin for your bachelorette party weekends. The major plan for Fetes de Fleurs is to be in every major bachelorette city in the US to help all of you bride's to be flower crown party in style! 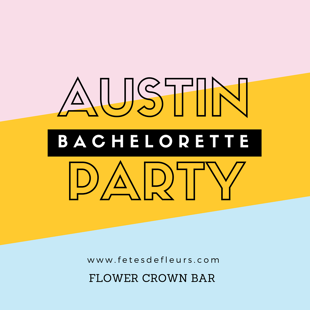 How does an Austin Bachelorette Party work with Fetes de Fleurs? We sat down with our Austin flower party Hostess Myranda Carlson to get more details for you on what to expect on your Austin Bachelorette Party weekend. Fetes de Fleurs is a flower party business. We host floral parties for celebrations like weddings, bachelorette parties, bridal and baby showers, events, etc. We are known for our flower crown parties but we do a variety of flower parties including other flowery workshops like floral arranging parties, floral jewelry parties, floral letter parties, etc. Really if you can do something fun with flowers and greenery we are interested in helping you party with flowers. Hi there! Ali here- the owner and creator of Fetes de Fleurs! We are so excited because we are finally heading out to Austin, Texas next weekend from Friday to Tuesday. I couldn't be more excited to visit this city. The best part is that we have Myranda there who is our flower party hostess in Austin for all your Austin bachelorette party needs. She has an Austin bachelorette flower crown party on Friday night so I am hoping that my flight gets in with enough time to sneak into the party and watch her in action! EKKKKK. Over the weekend we brought in a flower crown bar that contained a mixture of yellow and white daisy flowers because the bride to be's favorite flower is the daisy. We love to work with our brides and bride tribes to figure out a color scheme for the flower crown parties. If you tell us you like a certain kind of flower or colors we will try our hardest to incorporate those colors and flowers into the flower crown party, bachelorette party or girls weekend activity. Austin has some amazing things to do on your bachelorette party weekend. Austin is home to beautiful homes, fun downtown activities, good weather, and fun bars. It is an ideal place to go for a bachelorette party. 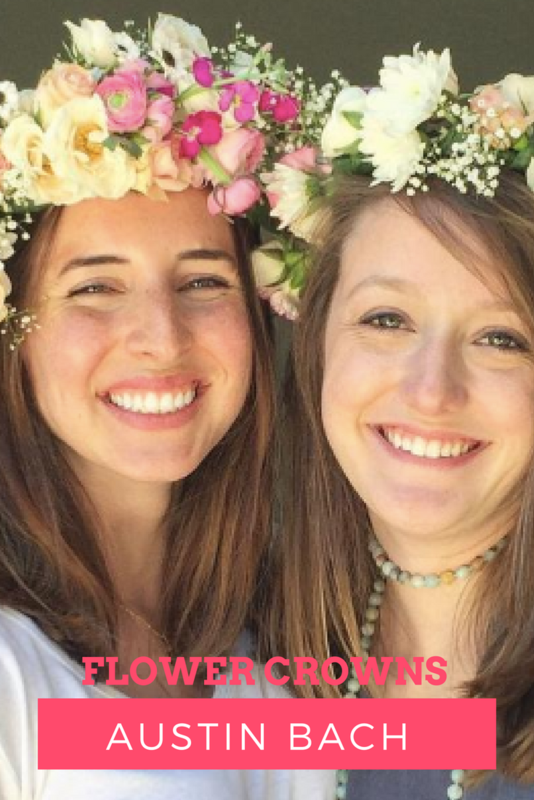 We have a flower party hostess in Austin and we love doing flower parties for you as part of your Austin bachelorette party! We had the luxury of hosting a 15 person bachelorette party this past weekend for a lovely group of ladies! 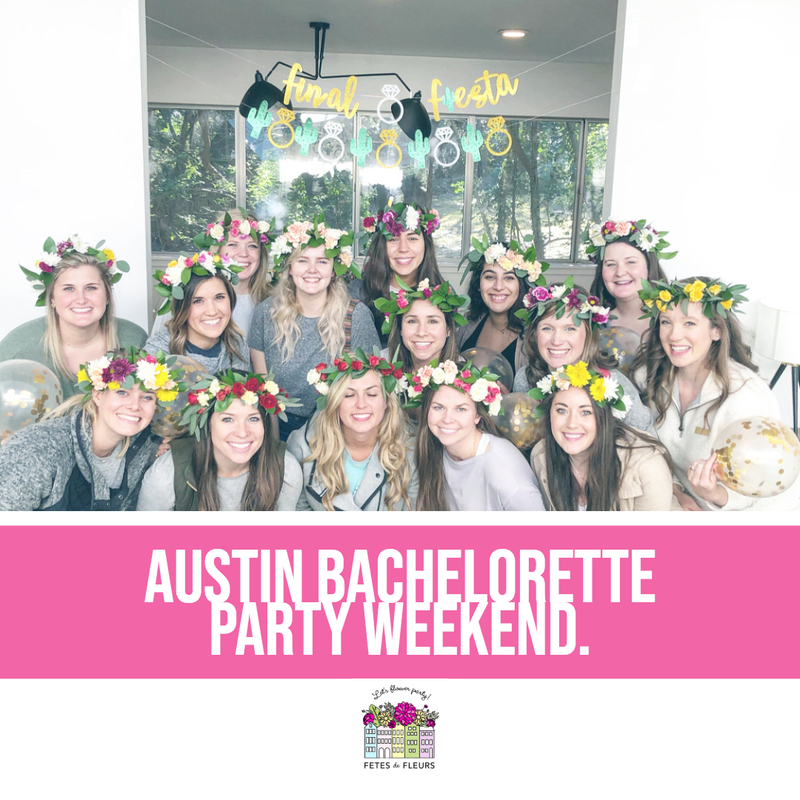 They were so much fun and we wanted to do a post flower crown workshop blog post to highlight some of the cute photos and tell you more about our flower parties in the Austin area in case you want to think about it as an option for your bachelorette party in Austin. We love hosting bachelorette party groups in Austin, Texas! We have recently partnered up with a great company (also ran by a woman founder- woo hoo) out of Austin, Texas where we have a flower party host. 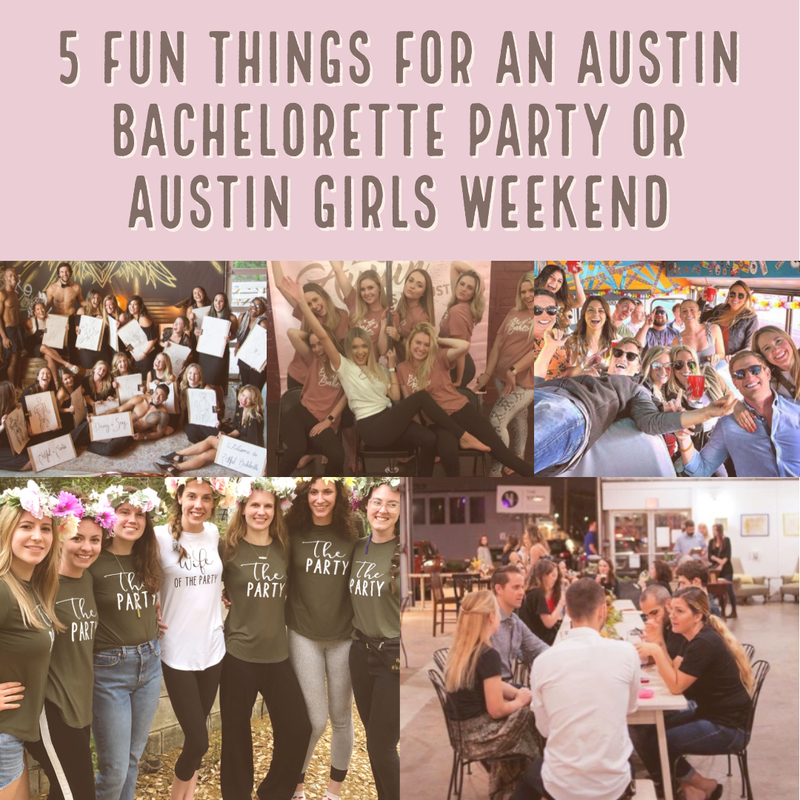 We wanted to do a recap of their Austin bachelorette party weekend so you can maybe take some of the ideas from their Austin girls weekend as inspiration for your own bachelorette party weekend in Austin coming up! We host floral workshops in cities including Austin, Texas for celebrations like bachelorette parties. We will come to your hotel or airbnb to setup our signature FETES FLOWER BAR with all the supplies to do a fun, floral activity for your bride tribe. 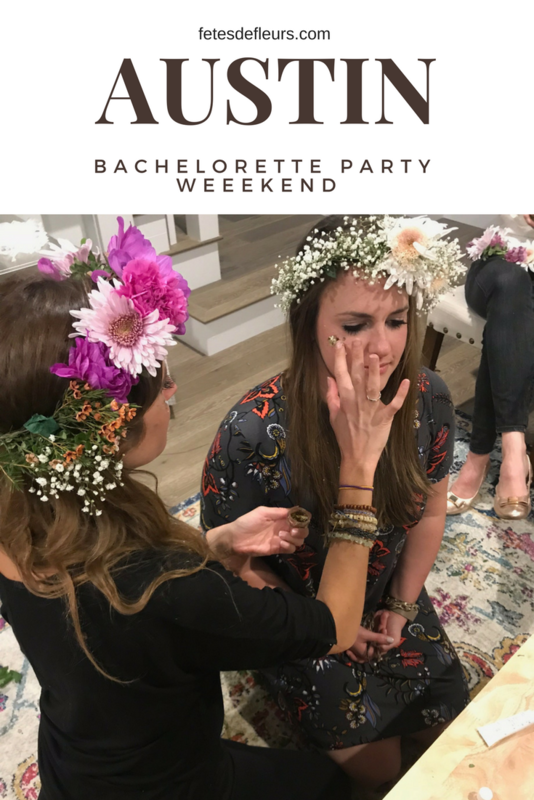 If you are looking for a fun, different, classy activity for your bachelorette bash we would love to work with you on a flower crown workshop or a floral arranging workshop for you and your bride tribe. 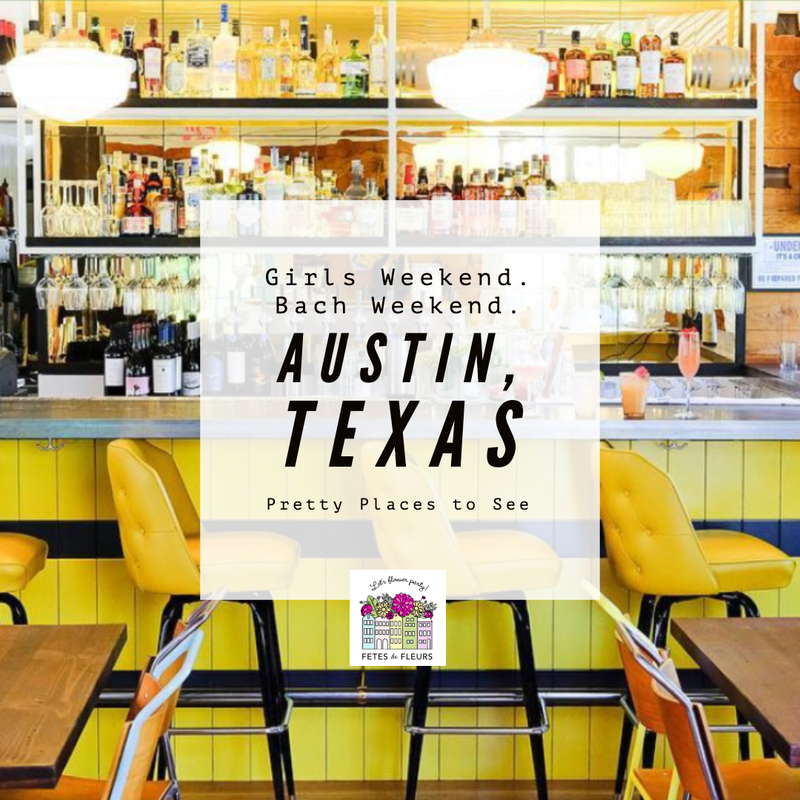 We thought we would help you in your planning process for a girls weekend or a bachelorette party in Austin by giving you some pretty, girly ideas of things to do while on your weekend trip in Austin. A lot of these are going to be places where you can eat or drink but remember anywhere that we put in a post of ours is going to be decorated beautifully and that is typically why we add them in here. We like PRETTY places and we know you do too! So grab your phones ladies and get ready to take some photos for that insta hashtag. Your besties back home will be jealous of all the pretty things you did and visited while in Austin. Seriously though, planning a bachelorette party or a girls weekend trip doesn't have to be stressful. It can be fun! We promise you that this can be fun and not as stressful as you think it might be. You just have to come up with a whole weekend itinerary - no big deal, right? We will help you. 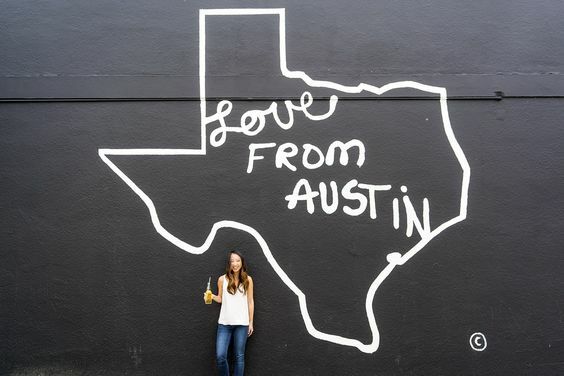 We have tons of fun ideas on blog posts that we have written in the past too about things to do in Austin, what to eat, drink, see and do. So make sure you check out past blog posts about all things Austin on our Austin Bachelorette Party Guide here. You can also see all of our past blog posts for all things Austin here on our Austin bachelorette party blog. Request an Austin Flower Crown Party in the Form Here.